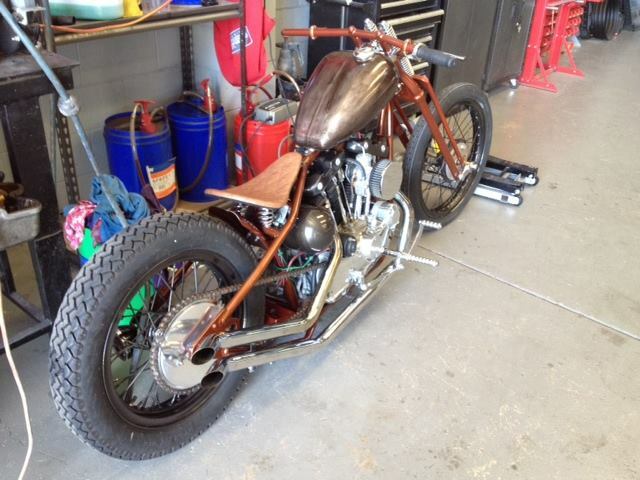 Our 72 Harley Davidson Bobber has had its facelift. The handlebar, forks, rear guard and battery tray have been painted the same colour as the frame; the metal finished tank has been clear coated; the seat has been upholstered and a thorough mechanical check has been undertaken. The only thing we are waiting on is a brake cable coming from the US. We are very happy with the result. This bike has generated countless inquiries. However, Paul from Sydney beat everyone to the punch and paid a deposit as soon as it was listed for sale. So Paul gets the first opportunity to inspect the bike. We have another three old school bikes on the way. 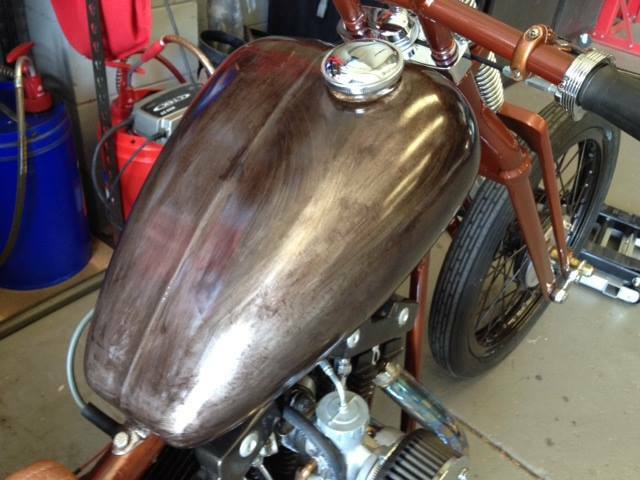 A 76 Harley Bagger, a 71 BSA Bobber and 74 Harley Ironhead Bobber very similar to this one. Keep a eye on the Ol' School Garage website for more details.